Romantic beachfront, gourmet breakfasts; hot tub; all rooms ocean view, two with fireplaces, all ensuite baths (one with whirlpool tub); queen-size beds with eiderdowns and featherbeds. 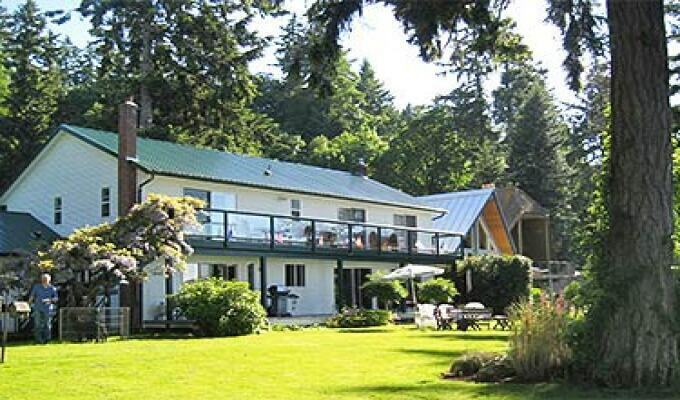 Our Courtenay BC bed and breakfast is beachfront, romantic, cozy and yet elegant. We aspire to provide accommodations to the most discriminating of tastes. A four + course breakfast, a massage, a soak in the outdoor hot tub, beach combing and all ocean and beach attractions and activities are a part of our day on Vancouver Island.